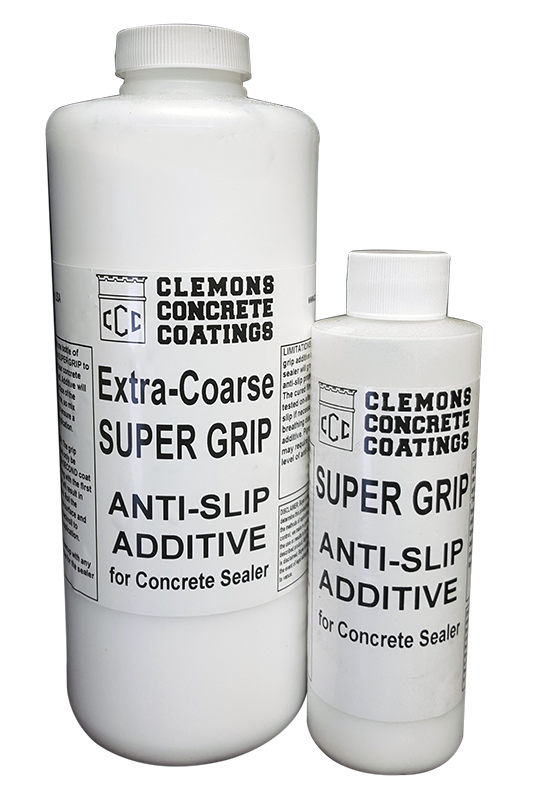 Super Grip is an additive the will help with taction for "Wet" look concrete sealers. The additive mixes in with one 5 gallon pail. 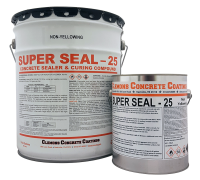 This product can not be used when only one coat of sealer is applied to a substrate that has not previuosly been sealed. It will work when added to a second coat or a substrate that has been sealed previously. This product only works with sealers that leave a film on the concrete to enhance or leave a shine. It will not work with sealers that penetrate into the concrete 100% and do not change the appearance. You should roll it to ensure that the grip is evenly dispersed in the sealer. I've used the SuperSeal VOC 2yrs ago with the recommended sprayer and found it to be slippery in the winter. Now that its time to reseal I want to use Supergrip but can I still use a sprayer or does it have to be rolled on with this additive? 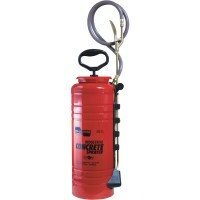 If you want to use SuperGrip then you need more then 1 coat for it to work. I want to verify that I will have to coat my pool deck twice with the super seal 30 adding the super grip with the second application? I have over 2000 sqft of pool deck.